Ruby on Rails is like IKEA…whaa? “I may have questioned Perl&#8217;s future now and then, and Perl certainly doesn&#8217;t have the presence it once enjoyed, but the strength of Perl has always been its flexibility. You can do pretty much anything with Perl, and you can do it in a wide variety of ways. Perl&#8217;s core revolves around the idea that there&#8217;s always more than one way to do it. In fact, there may be dozens of ways to do it. <span class="caps">PHP</span> shares a similar trait in that it gives you a large set of tools and leaves the construction up to you. Jim Weirich — Farewell, Friend. <a href="https://github.com/jimweirich">Jim Weirich</a> was building interesting stuff with Ruby several years before I was introduced to it. Tools that most of us have taken for granted. Tools that were just there. Back in the early Ruby on Rails explosion era (circa 2004-2006), it was much easier to get to know the great Rubyists. 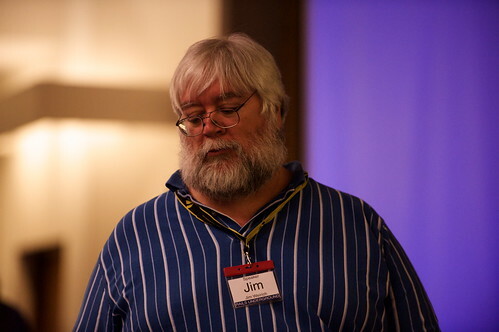 I remember finally getting a chance to meet Jim (and _why) at <span class="caps">FOSCON</span> here in Portland, which still goes down as one of the best “conferences” I have ever attended. I&#8217;ve been so busy this year travelling (for pleasure and work) and helping grow the company that I&#8217;ve not had much to say here. Expect some posts soon! Over the years, I&#8217;ve evolved these following steps and they&#8217;ve helped our team maintain a consistent and stable envirnment for Ruby on Rails development. I know that there are a few other ways to approaching this and I&#8217;m sure you&#8217;ll get similar results, but this approach has allowed me to maintain a hassle-free setup for the last five years. As with all things&#8230; your milage may vary. During this initial phase, we&#8217;re going to install the primary dependencies and setup our environment.